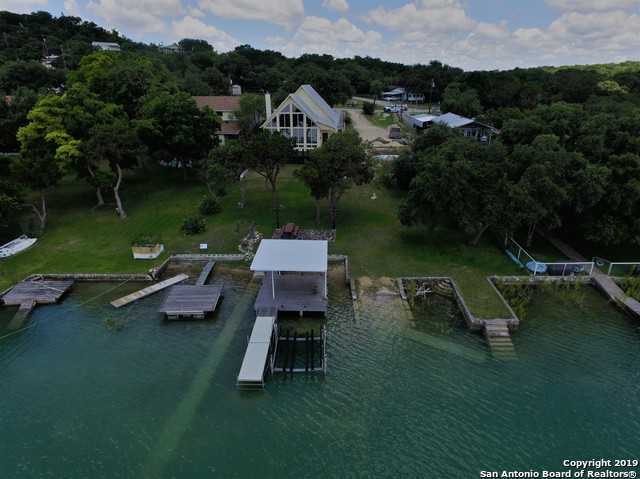 Courtesy of Medina Lake Realty, LLC, Michael Mallory. Spectacular home on good waterfront. Granite counter tops, custom cabinets, designer lighting, with an open plan. Rock home with high quality standing seam roof and a 3 car garage. Eat in kitchen with open plan and a walk in master bath shower and a whirlpool tub. Wood floors and travertine tile in the bathrooms. This is a wonderful home with many amenities with a great view. Home also has certain energy efficient qualities with 6 exterior insulated walls with a high quality dual HVAC air and Heat.